Watch our Everest BC video’s HERE.…. We have been busy with 6 recent treks to Everest and 100% success on our last 7 climbs on Kilimanjaro. We now selling out on our 2017 trek around the world. We opened our FIRST SCHOOL in Goli Nepal and need your help with future projects. Why not join a trek to help Nepal. Contact us for more information. If you would like to sponsor a child to go to school at the Mt. Everest Primary school in Uganda or help trek to bring 1 million clean water in East Africa get in touch, or check out Fields of Life Water projects. Trek to make a difference. We have to late spaces for Kilimanjaro in August open up. 1 space for climbing Island peak in October and limited spaces available on our Everest base camp trek in October 2016 and 1 space open on our Mera Peak climb in October 2016. We will launch our Machu Pichhu trekking dates for 2017 in July and as always feel free to e-mail, call or skype us with any questions you may have. with us. We have 1 space open in October 2016 and 1 space open for April 2017contact us if you are interested in climbing high in the Himalaya’s. 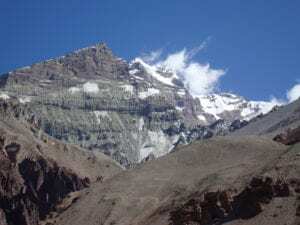 We are available to help you get the correct information on training, we have additional acclimatization on our treks and climbs giving you the best chance of success. Ian has climbed Everest, 6 of the 7 summits, lead 17 treks to base camp and climbed Kilimanjaro 19 times. We have the knowledge, expertise and commitment to you. e-mailian@iantaylortrekking.com and ask your questions. Copyright © 2016 Ian Taylor Trekking LLC , All rights reserved.